Renowned British designer Jasper Conran has always turned to travel for inspiration. A founding member of London Fashion Week, Conran has designed everything from fashion and accessories to home décor and luggage. 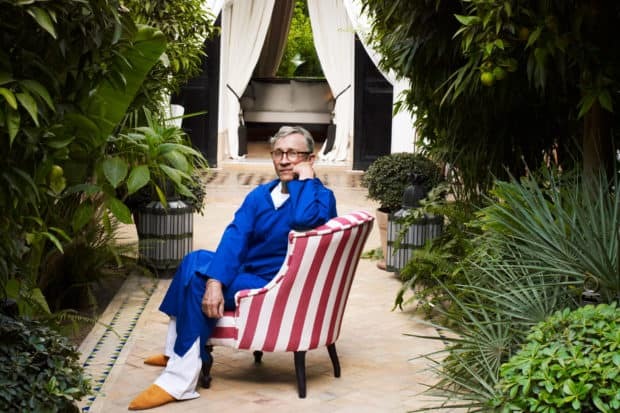 Exploring the colorful streets and souks of Marrakech inspired the designer to embark on a new venture, and in 2016, he transformed a historic 19th-century riad into the elegant and intimate L’Hotel Marrakech. The stylish retreat in the heart of the medina is an inspired ode to Morocco, with lush greenery, vintage furniture, tiled floors and billowing drapery. Here, the hotelier and tastemaker shares his favorite spots in Marrakech and his advice for first-time visitors. 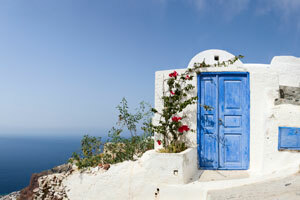 As a designer, are there any places around the world that you find particularly inspiring? I’ve found that traveling anywhere is an incredibly inspiring act. When you get out of the office and go to Paris or Peru or anywhere around the world, ideas just come at you in a way that I can’t really explain. You come back energized and with a new outlook. I can’t say that any one place inspires me more than another, but it’s really the act of traveling in itself. 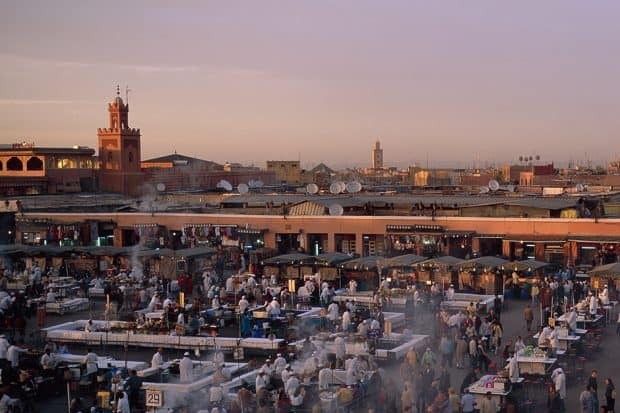 How did you pick Marrakech as the home for your first hotel? I’ve always loved Marrakech, and I had a hankering to be there. I initially considered buying a house there, but then I realized that if I had a house, it would be empty most of the time, so I thought, why don’t we have a hotel instead? And that’s how it was born. What three words would you use to describe Marrakech? I love immersing myself in the 14th-century environment, but it’s also quite nice to dip out of that and head into La Mamounia for a cocktail. For lunch, I like to visit The Berber Lodge, a lovely hotel about half an hour outside the city. I also enjoy eating on the Djemaa el Fnaa square. There are two booths that I visit: number 47 (serving the local specialty of tangia) and number 98 (serving delicious fish and chips). There’s also a fantastic spiced tea that you can get at many of the stalls. Describe your perfect day in Marrakech. I would go to the souks and wander around there. I’d have an orange juice in the Square. 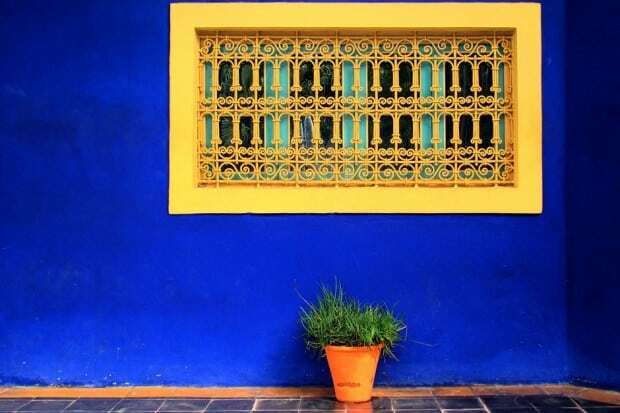 I would probably get into a horse-drawn carriage and go to the Jardin Majorelle and the Yves Saint Laurent Museum. I particularly like the Berber Museum there, as well. Then, I would go back to Djemaa el Fnaa, eat at my favorite food stalls and watch the wonderful entertainment at night. What advice would you give to first-time visitors to Morocco? Firstly, you should get a good guide, so you can explore the city with confidence. You should go to all the museums, and don’t miss out on the Djemaa el Fnaa square. Remember that you’re visiting a place that has changed little since the 14th century, and there are not many places left on earth where you can do that. You can’t be timid. What items are always in your carry-on? Noise-cancelling headphones, earplugs, an iPad, a type of candy from England called wine gums and a sleep mask. What destinations are on your travel wish list? Contact Indagare for assistance planning a trip to Morocco. 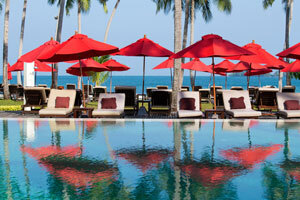 Our dedicated trip designers can match you with the best hotels, restaurants and activities.